India is a significant player in the global gems and jewellery market. Gold, in particular, has important cultural importance in India and gold jewellery is frequently purchased for weddings or religious festivals. Additionally, gold jewellery is also used as a form of savings, especially in rural parts of the country where many Indians still do not have easy access to formal financial institutions. In recent years, the tastes of Indian consumers have been shifting. Economic growth has created a widening Indian middle class that has been looking for different aesthetics compared with traditional, heavy gold jewellery. This has created rising demand for jewellery made from other precious metals including silver and platinum, and for diamond jewellery. 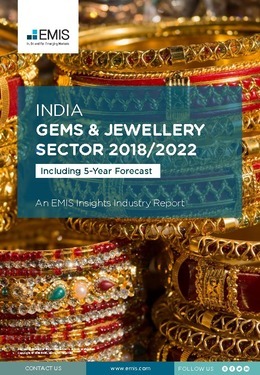 This report provides a complete and detailed analysis of the gems and jewellery sector for India. EMIS Insights presents in-depth business intelligence in a standard format across countries and regions, providing a balanced mix between analysis and data. Build a clear picture of deposits, production and consumption for specific sub-sectors.